Many of you reading this may have suffered from plantar fasciitis for years and were probably told to keep your motion control running shoes on and wear orthotics. Your pain may have improved temporarily but the situation eventually becomes chronic and doesn’t completely resolve. What else can be done before surgery? Do the opposite. By removing your shoes and orthotics, you allow the foot to work the way it was designed and gradually become stronger. It may come as a shock being that most physicians and health care providers advocate “arch support” for this condition. 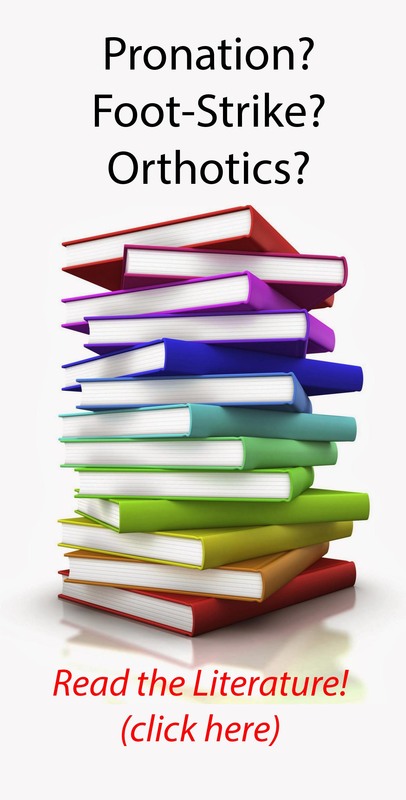 The problem is the medical literature does not support it for chronic situations. When one functions barefoot or in a soft shoe with no heel or arch support, the foot becomes stronger and our gait changes. By doing this gradually, we can rehab the foot to get stronger and eventually overcome the plantar fasciitis. She began wearing Leming minimalist shoes. This is an example of a 56 year old female of had dealt with chronic heel pain for 2 years. She was diagnosed with plantar fasciitis and treated over the 2 year period with cortisone injections, traditional running shoes, and orthotics. Her pain had never completely responded and she presented with the classic frustration these patients tend to present with. I had advised her to do the opposite of what she had been told and explained that current medical literature does not support that paradigm of treatment for long term heel pain. She was directed to get into a pair of minimalist shoes and have a goal of making them her shoe to be worn all day long. Initially she was told to wear them 30 minutes a day and then return to the motion control shoes the rest of the day for a gradual transition. She was to build on this every other day increasing her time. 6 weeks later when she returned, her pain had diminished by more then 50%. She hadn’t felt relief like this in over 2 years. She was now wearing a pair of Leming shoes that she had purchased at the Cleveland Running Co.
Keep in mind it’s not the shoes directly that fixed her. She allowed her feet to function the way they were designed, and the shoes allowed her to do this. Her feet gradually became stronger in just 6 weeks of time. 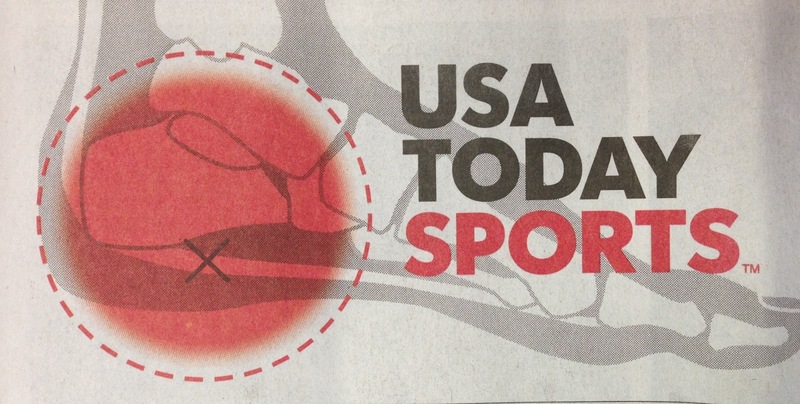 How the media is still years behind in understanding heel pain. Skechers GOrun2 and the Performance division of Skechers. Hey. I found your blog the effective use of msn. It is really an extremely deliberately written document. I will remember to bookmark the application and come to read supplemental of your invaluable info. We appreciate you the article. I’ll positively return. really nice simple post for a simple plan that does no harm. many will respond to this plan with the patient approach. i have seen the reset approach work countless times. also do the deep tissue work in the PF and calf/achilles region. land softer too with a higher cadence. if it does not work you can always go back to the supportive and interventional plan. Hi Nick! I follow you on Twitter, am a 2:37 marathoner, and a 9 year ‘minimalist’. I had kinda gravitated towards ‘more shoe’ (for me) the past year. After a freak series of events last fall where I had to take time off for a calcaneal stress fracture, I got back into running in my normal shoes (Inov-8 233s). After a few months of feeling like those shoes seemed to be keeping my heel irritated, I started trying other shoes in my closet. To make a long story short, I just found out from an MRI that I have plantar fasciitis and partial tear in the aponeurosis (which I think I had all along, since my calcaneal stress fracture). I can still run fine though… just have difficulties pushing off properly when I run fast. The past few days, I’ve gone back to more ‘minimalist’ shoes and found that my foot feels a ton better in firm, flexible shoes! Not that my other shoes weren’t flexible, but not flexible enough or flexing as my foot needs it. My question is– is it the flexibility of the shoe that makes the difference for someone with PF? And/or is it the density (firm vs soft) that makes a difference? I keep seeing “softness” being pushed, but my experience is that my foot prefers firm (and flexible). However, I haven’t been to a shoe store lately to test this all this out. I almost feel like if I put a ~leather dress shoe insert in my shoes, my foot would be happy. The dilemma is trying to figure out what would be appropriate for the marathon AND my foot. I’ve worn along the lines of 5K/XC flats for marathons in the past, but I had gone towards thicker cushioned shoes the past 2 years. I’m currently not affiliated with a shoe sponsor, so I’m up for suggestions on shoes! Thanks for the comment! I’m honored that you follow my blog and I hope you, being an elite runner, still find the information useful. I could spend hours speaking about your comments, especially plantar fasciitis. One question I do have is how was your stress diagnosed, and are we sure it was a stress fracture? Only reason I’m asking is that I see a lot of runners in my office who were told they have a stress fracture and actually just had chronic plantar fasciitis. Getting over plantar fasciitis can take months. For several reasons- we spend hours on our feet daily, most people vary their shoes and often wear incorrect shoe gear making it difficult for the foot to adapt and become stronger, and years of incorrect walking from our society’s shoes also play a role. My advice to get over this would be to start back at ground zero. Meaning the best shoe for your foot is nothing. Not with running, but just everyday life. Gradually spend time each day barefoot or in a flat flexible shoe. 30 minutes a day for a week and gradually increasing. At the same time foot strengthening exercises will help tremendously. Calf raises are great. Every runner should do calf raises 5 days a week, 100 if possible. As for shoes when running, my advice is always “your shoe means almost as much as the shirt on your back”. Having said that I do have a lot of favorite shirts!! What I mean is form is truly important. I’m sure you have perfected “Camille’s” form given your outstanding times, but the question I have is did your form change with your injury and your stuck in a cycle? Your shoe should allow you to run, not enable you to run. Whatever feels best is what you should wear. Try to stay at zero drop. My wife does her marathons in The New Balance Minimus Zero road shoe. I’ve been experimenting with many shoes for my next marathon in April. I like the New Balance RC5000 racing flat but the angle of the heel (5mm) drop pushes on my arch. Believe it or not, one of my favorites is the Skechers GoBionic (Meb wears skechers)I’ve been doing some runs in it and love it. I think I could even race it in. Very flexible, wide toe box, zero drop, and allows you to feel ground yet has cushion. The cushion is the perfect amount. Thanks Camille! I think we exchanged emails in the past. If you need anything, please reach out!! Hello Nick and I’m so glad that google brought me to you today! I’ve been suffering from plantar fasciitis for about five months now and have been seeking the advice of a podiatrist who is a runner so first of all, thanks so much for your website and useful information to us runners! I’m here because I’m newer to running, (about 1 1/2 years now) and I had no clue what I was doing when I started. 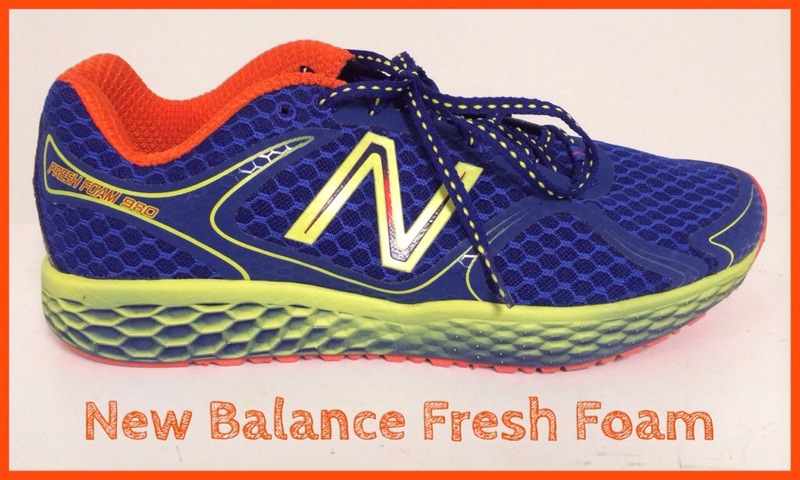 I was a heel striker running in a pair of hand-me-down Asics w/ a huge heel to start and then started learning about shoes so I switched to a “neutral” pair of New Balance MR1400BO shoes which I loved…that is until I got plantar fasciitis. It might have been my form, or the shoes were wearing out, or both, but I ignored it of course until it was really becoming a problem. I then took 2.5 months off from running thinking that would help and that didn’t change a thing. So I did a bunch more research and decided to go all the way this time and bought a pair of Vibram Bikila LS shoes and have been working to reinvent my running. I don’t wear shoes inside my home so my feet are better suited for this than I thought they would be in the beginning. It took me about 3 short runs (0.5 miles) as recommended to start getting a forestrike to feel natural for me but after that, it started to come pretty naturally which I am pleased about. My foot pain varies so if it’s pretty bad, I’ll ice it when I’m done, but overall, I like the Vibram’s and that my foot doesn’t seem to be getting worse. I’m hoping that over time it will get better as I’m trying to stretch properly and ice when needed. My question to you is, about 2 weeks ago, I was doing a 4.5 mile run and at about mile 4, my achilles on the non-affected leg started barking. I’ll admit that I could have stretched better that day but unfortunately I did not. I stopped very soon after and haven’t run since as the achilles is still pretty tender at times. So now my right foot hurts w/ PF and my left w/ my achilles so it’s pretty comical to watch me walk at this time. I have a 10k that I really want to run in 6 weeks but I’m wondering if I should lay low and pass on this one or if you think if I stretch properly I can still continue to train? The pain is not dehabilitating on either foot, but it is nagging at times. My other question is do you think I should stick w/ the Bikila’s for my 10k or would you recommend I have a pair of minimalist shoes as well for that? I see you like the new Skechers GoBionic and New Balance Minimus Zero Road so do you recommend switching it up and going back and forth between the Vibram’s and a minimalist shoe or since I’m not up to a half marathon yet, just sticking w/ Vibrams all the way? Thanks again very much for your time and for the great information you provide on your website! Thanks for following and the positive feedback!! First, transitioning takes about 6 weeks to get to 3 miles and about 6 months to reach 10 miles. Transitioning takes much longer then most think. As for shoes, anything over 10 miles I would consider a shoe with mild cushion line NB Minimus or Skechers GObionic or GOrun 2. Sounds to me like your rushing things. Read my text if you haven’t yet. Let me know if this helps. If you have more questions let me know! Thanks for the quick reply Nick! Ok, I’m going to back off then and read your text as well to make a better transition. I’ll let you know if I have any more questions and will stay on course with my five fingers. Thanks again for your help! Thanks for sharing this information and your perspective. Plantar fasciitis affects many people and conservative options should be considered and made available. I developed heel pain last September (2012) having decided to go jogging in a minimalist pair of running shoes, on top of which I coach gymnastics and have always done so bare-footed, in fact I spend most of my life bare-footed, but I have to say until I put on a pair of Brooks purecadence running shoes, the knock on effect of developing/acquiring Plantar fasciitis to the rest of my body and gait was becoming quite painful. This doesn’t work for everyone. 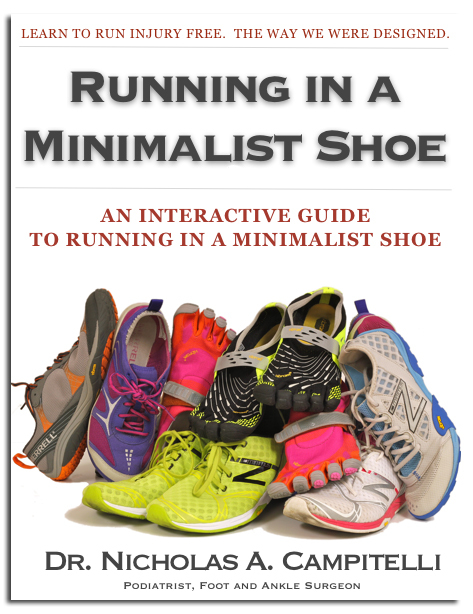 I had been running with minimalist shoes for 6 years or so before I developed PF pain. Not sure what triggered it but have to move back to shoes with cushion and support when the pain flares, although I do try to walk around barefoot or with minimalist shoes when not running and work my way back to using minimalist shoes when the pain subsides. Still on the fence as to whether to give up on minimalist shoes for running completely. Hi Dr Nick I have been suffering from PF for almost a year now. I am a 60 year old runner with a 2:43 marathon and I have been running for many years.And I have worn rigid orthotics for many years. I recently read an article, based on research done by a Dr. Lemont, that the term should be plantar fasciosis and not fasciitis because of the total lack of inflammatory evidence. I have been totally frustrated by the lack of success with conventional therapies and recently decided to shed the orthotics, switch to a minimalist shoe (walking not running so as to adjust) and see what happens simply because the alternative doesn’t work. I am hoping that removing the orthotic will allow my feet to strengthen and hopefully permit me to return to running. Can you offer any guidance on the transition?